WASHINGTON (AFP) — Another self-inflicted crisis has left Donald Trump’s critics outraged and some of his Republican allies dismayed, but a bedrock of support for the billionaire US leader means the political endgame is far in the distance. A few weeks ago, only Trump’s most rabid opponents would have predicted an early demise for his presidency. But by Friday, the possibility of impeachment was being floated — albeit very cautiously — by an increasing number of people in Washington’s corridors of power. Trump’s decision to summarily fire FBI director James Comey on Tuesday — an act virtually unprecedented in US history — set off a chain of events that has put his White House on perilous ground. Trump’s professed rationale — a recommendation from the Justice Department — quickly unravelled, when he admitted he always intended to fire Comey. Trump then added fuel to the fire when he admitted the FBI’s investigation into his campaign’s possible collusion with the Kremlin was a factor in his thinking. There is still no firm evidence that Trump or any of his surrogates colluded with Russia to win the election. But the very fact that an investigation is ongoing is intolerable to a president who values his image above most things. “When (former director of national intelligence) James Clapper himself, and virtually everyone else with knowledge of the witch hunt, says there is no collusion, when does it end?” Trump said Friday in a furious tweetstorm. As exhausted staff tried to clean up the Comey mess, Trump took to Twitter and went a step further, impugning his own staff’s credibility and warning the ex-FBI director not to leak information to the media — and suggesting there could be secret tapes of their conversations. “As a very active President with lots of things happening, it is not possible for my surrogates to stand at podium with perfect accuracy!” he said. But by week’s end, legal scholars wondered out loud whether Trump may be guilty of obstruction of justice — a charge that featured in the articles of impeachment against Richard Nixon and Bill Clinton. 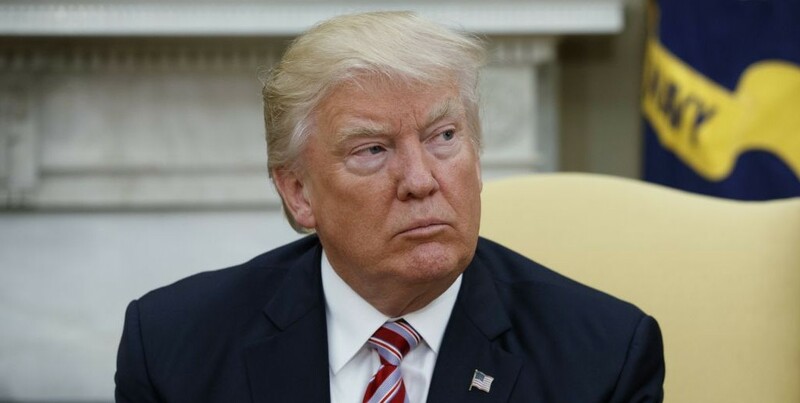 “He may not have intended to commit anything like obstruction, or any other crime, but has instead blundered into this position because he does not recognize or respect norms and does not appreciate legal process or institutional boundaries,” Bob Bauer, White House counsel to Trump’s predecessor Barack Obama, wrote in a Lawfare blog post. 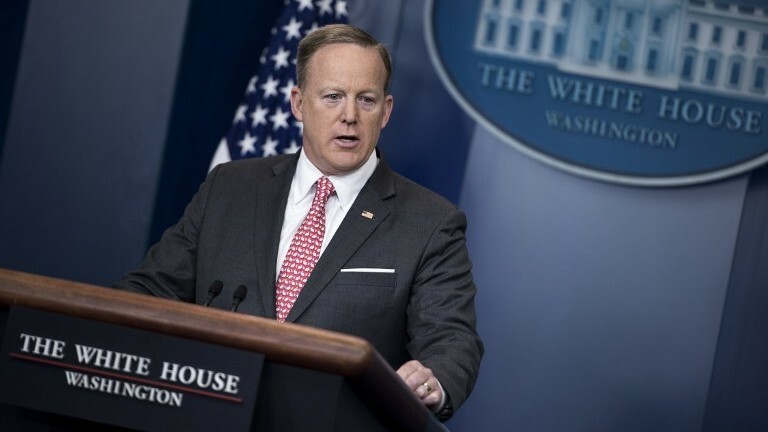 On Friday, Spicer, already publicly humiliated by his boss, was left unable to confirm or deny whether the president was recording Oval Office conversations, copies of which Democrats promptly demanded. Throughout Trump’s many controversies, his safety net has always been the Republican-controlled Congress, which forecloses any talk of impeachment or censure. But his relationship with the GOP has always been a shotgun marriage. Until now, the prospect of passing transformative tax reform or unraveling Obama’s health care reforms was enough to keep the partnership together. As the Comey news broke, sure enough, Senate leader Mitch McConnell and House Speaker Paul Ryan resolutely opposed any calls for an independent investigator. But with Trump’s legislative agenda on the rocks and his handling of the Comey crisis in question, the honeymoon appears to be nearing its end. Republicans privately express concern that the White House is careening out of control and are becoming more critical in public too. With several Trump aides still under investigation, many express concern about supporting Trump and being exposed if another shoe drops down the line. As ever in Washington politics, self-interest comes first. Many Republicans are eying the 2018 midterm elections, which will put control of the House of Representatives and potentially the Senate up for grabs. Trump’s 36 percent approval rating — according to a Quinnipiac University Poll — gives lawmakers in closely contested districts little incentive to stay on the Trump train. And Trump’s core of support no longer seems quite as firm. According to Quinnipiac’s Tim Malloy, Trump is losing ground with white men, white voters without college degrees and independent voters. 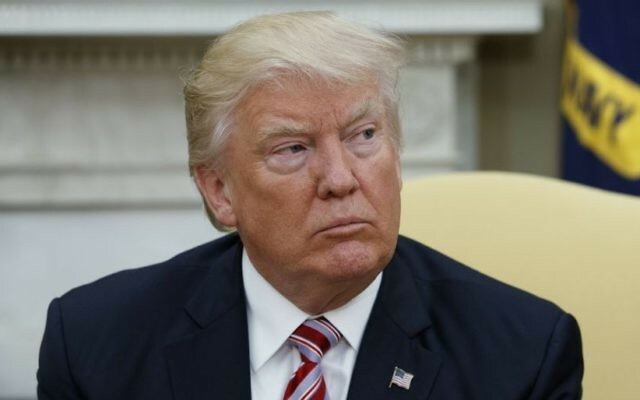 “The declaration by voters that President Donald Trump’s first 100 days were mainly a failure and deepening concerns about Trump’s honesty, intelligence and level headedness are red flags that the administration simply can’t brush away,” Malloy added. They are also red flags that if raised higher, may be impossible for the Republican Party to ignore too.